Hi there you guys! 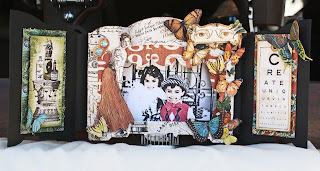 Just wanted to show you a Father's Day Shadow Box Frame I created using the G45 Olde Curiosity Shoppe Paper Collection. 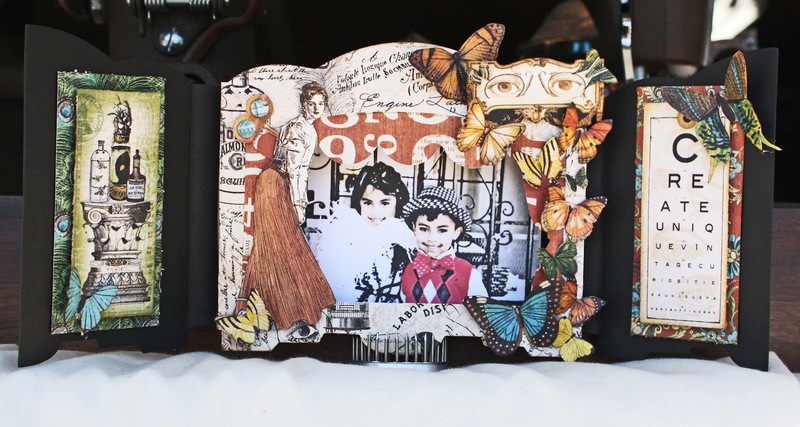 The Die I used is the Landscape Shadow Box by Accucut. I used random Martha Stewart Butterfly Punches for some of the Butterflies you see in the photo. Enjoy! Happy Father's Day to all the Great and Awesome Dad's out there!